The Overwatch League first went live on Dec. 6, 2017. The league was billed as the first of its kind: an esports league featuring city-based franchises on a global scale. Now, 233 days, 240 season matches, four stages, 10 eliminated teams and far too many dabs later, the Overwatch League has arrived at its grand finale. 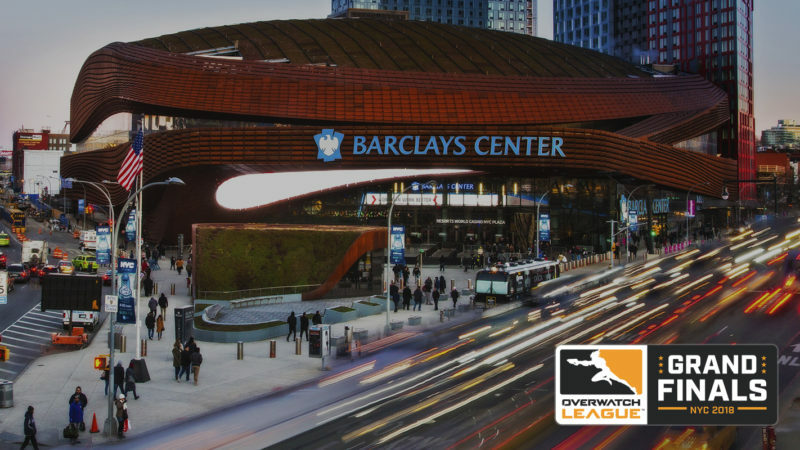 Held in the Barclays Center in New York, the grand finals will be played over two days in a best-of-three-matches series. After the grueling marathon in Los Angeles for the past seven months, the London Spitfire and the Philadelphia Fusion will brawl it out July 27-28 for the trophy, the $1 million prize and the glory of being the first Overwatch League champion. At first glance, the Spitfire and the Fusion would be the unlikeliest playoff teams to reach the finals. Respectively fifth and sixth in the regular season standings, and ending respectively ninth and sixth in Stage 4 just before the playoffs, both teams seemed to be on the downtrend after peaking early in the season. But something changed in the playoffs. A favorable shift in the metagame, coupled with a sudden surge in team play and individual playmaking, saw the Spitfire and Fusion shatter their opposition in the quarters and semis, including the second-seeded Los Angeles Valiant and first-seeded New York Excelsior. Like snowballs rolling down the sides of opposing mountains, these are two teams that have grown in power with momentum, and their clash is certain to be a climactic one. London and Philadelphia have faced each other five times thus far in the season: four times in the regular season and once in a stage title match. London won the first two bouts in convincing 4-0 fashion, but the Fusion upset the Spitfire in the Stage 2 semis, 3-2, and then turned it into a trend with subsequent 3-2 and 3-1 victories. This rivalry is more than just in match results: The teams’ ideologies are completely at odds, and they have run in contrast since before the season even began. The London Spitfire were formed from two Korean teams: KongDoo Panthera and GC Busan. KongDoo Panthera placed second in OGN APEX season three and third as Cloud9 KongDoo in APEX season four, while GC Busan were champions of APEX season four and the APAC Premier 2017. Four from KongDoo Panthera, all six of GC Busan and two additional players banded together to become the superteam London Spitfire, the first full 12-man squad in the Overwatch League. They seemed on track to fulfill the preseason expectations by emerging as victors of Stage 1. However, the team faced issues with its lineup: Namely, in a team of stars and champions, no one wanted to be on the bench. Thus, Baek “Fissure” Chan-hyung and Kim “Rascal” Dong-jun were traded to the Los Angeles Gladiators and Dallas Fuel, respectively, to pursue starter positions. The Spitfire then parted ways with four more players, including the additionally signed but never played Hwang “TiZi” Jang-hyeon. These releases were the result of the Spitfire wanting to focus on a smaller core of players, citing difficulties with team cohesion with a larger roster. None of these changes seemed to work, and London continued to spiral down in the standings. It was only in the playoffs that something finally clicked, and the team regained the spark it had lost after Stage 1. For the Spitfire, anything less than a finals appearance would have been a grave disappointment; it’s fortunate that with their backs against the walls, they managed to deliver. The team’s owner, Jack Etienne, took a gamble when he signed 12 Koreans to represent the Overwatch League’s only European franchise. The only certain payoff would be a championship. On the other hand, the Philadelphia Fusion were a completely unknown quantity. With players and staff from 10 different countries and nine different teams, the Fusion had a mix of champions, stars and complete unknowns. As it turned out, though, that multinationalism worked against the Fusion — they missed the entire preseason because of visa issues as they scrambled to get their players together. This situation — coupled with a truly cringeworthy video that was roundly mocked, parodied by the Overwatch League itself and quickly deleted — meant that the Fusion did not enter the league with high expectations. Over time, though, the Fusion improved, both in performance and in public relations. The Fusion’s roster changed over the season with smart substitutions as new players became available, such as Simon “snillo” Ekström and Kim “Sado” Su-min. Their gambles on lesser-known talents paid off, including the almost unknown Josue “Eqo” Corona, who is now in the conversation as best at his position. Simultaneously, the Fusion’s media team redoubled its efforts and later won back public favor after a parody video of its own, this time mocking the infamous In-N-Out Burger video of the Los Angeles Valiant. While their season saw its own dips and rises, overall, the Fusion have resoundingly exceeded expectations. For Philadelphia, a finals appearance is a surprise, but a welcome one. In many ways, its journey is similar to that of Overwatch’s own fictional back story: a ragtag group from across the world that overcame adversity to plant its flag victoriously. In the climax of the inaugural season of the Overwatch League, two all-out aggressive teams will collide with the explosive burst of, fittingly enough, a plane crashing into a reactor. This match will be all about the DPS position: Kim “birdring” Ji-hyeok and Park “Profit” Jun-young of the London Spitfire have been identified from the beginning as probably the best DPS duo in the league. Their only competitor? The Philadelphia Fusion’s own Lee “Carpe” Jae-hyeok and Josue “Eqo” Corona. Additionally, the current trend of having a support player switch onto damage dealers tips the favor toward London, as Choi “Bdosin” Seung-tae has shown much more prowess mechanically than the Fusion’s Isaac “Boombox” Charles or Park “Dayfly” Jeong-hwan. The Fusion’s gambit will be on the format: Two days of potentially 15 maps will be exceptionally taxing, and without momentum and adrenaline to maintain hot streaks, the second day might wear down the Spitfire if they go all out from the start. The Fusion have a robust 12-man roster with substitutes for every position, compared to London’s magnificent seven. The Fusion definitely have more manpower to expend in a stamina race. However, the London squad is looking as dominant as in its first stage, in which it originally won a title. And that title came after a grueling 14-hour day over 14 maps because of the format of that day. Meanwhile, the Fusion had to settle for a second-place medal in Stage 2, when they “felt like they were running out of steam” after playing two matches back to back. Compounding the issue is that the Spitfire players are veterans with multiple finals appearances, in the Overwatch League and in prior tournaments. The Fusion are comparatively much less experienced and more likely to underperform under pressure. Cheer up, England. In the Overwatch League season one championship, it looks like it’s coming home. Prediction: London Spitfire will win series, 2-1. Michael Jeong covers esports. Contact him at mjeong@dailycal.org.